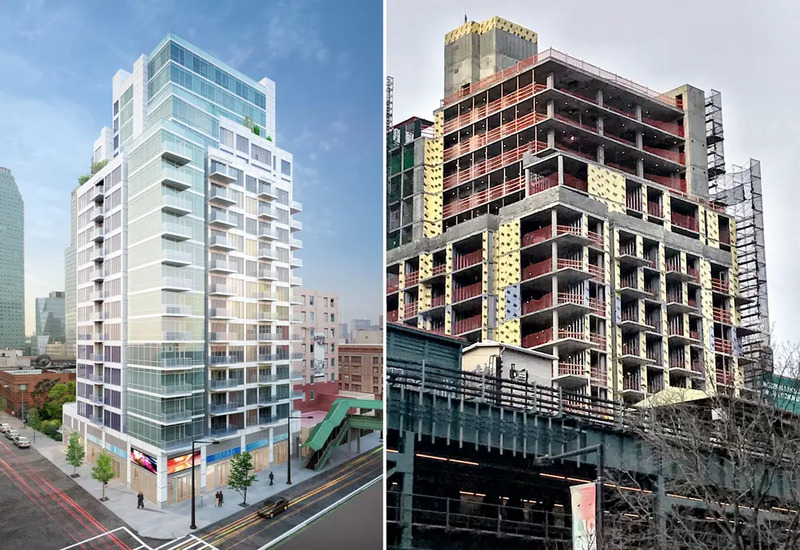 The rapidly emerging Long Island City skyline just got another entrant: One Queens Plaza, a 20-story, 118-unit mixed-use building that has just topped out. 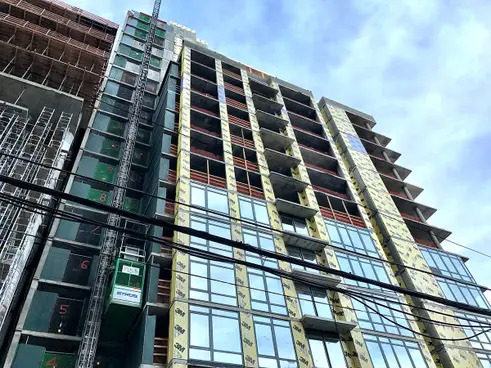 A recent site visit showed that the glassy façade designed by Queens-based architect Raymond Chan is also on the way up. An exterior rendering shows that several of the apartments will have private balconies, and plans filed with the city indicate that amenities will include storage, bike room, second-floor parking garage, and recreational space on the 19th and 20th floors. 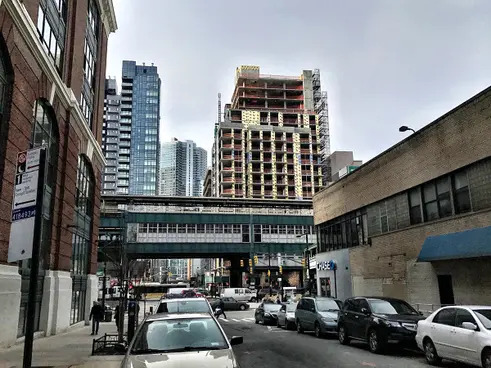 Residents will also benefit from living a few short blocks away from the Queensboro Plaza and Queens Plaza subway stations. 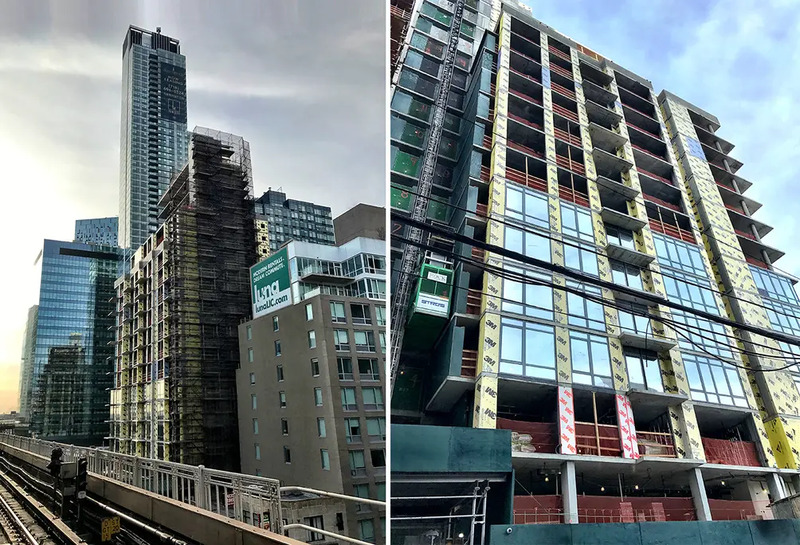 One Queens Plaza is rising in a particularly vibrant section of Long Island City. It is around the corner from Arcadia LIC, a condo that has gotten off to an unbelievably strong start. Canvas, another Lions Group condo, launched sales in December, is also a few blocks away. 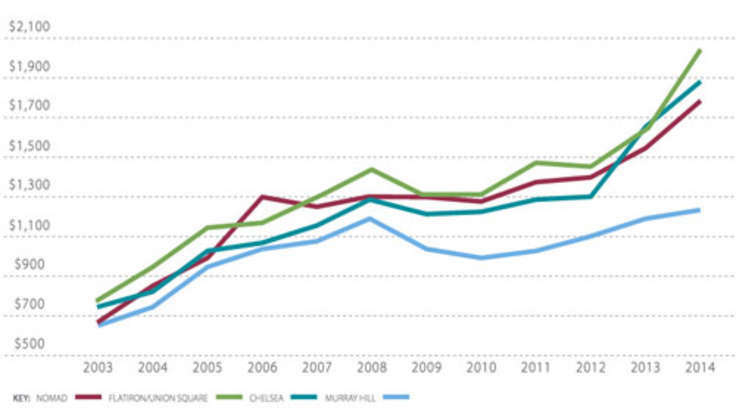 The median price per square foot for 75 now-listed LIC condos is $1,249 per square foot.